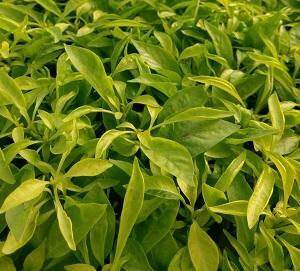 Alternanthera is available in Yellow which produces a bright chartreuse foliage that is very popular in landscapes and containers. Alternanthera, commonly referred to as Joseph’s Coat or Joyweed, is a greenery favorite. 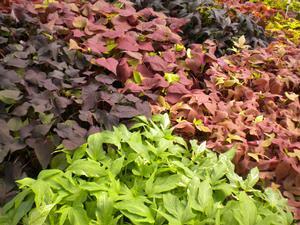 Alternanthera produces a variety of boldly colored foliage, ranging from green, variegated and deepest, darkest purple, nearing black. 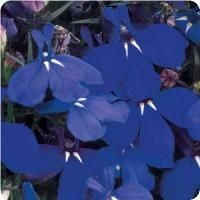 The upright growth habit, heat tolerance and vivid colors make this a great choice for landscape, baskets and mixed containers! Its colors will come to life through early Spring, Summer and Fall, right up until the first frost. 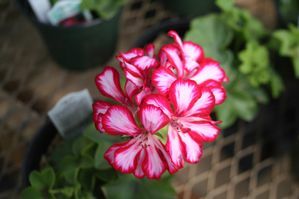 This is a great annual with vibrant colors to brighten up any container or landscape! Alternanthera prefers full sun but can tolerate some shade, with full sun bringing out the richest colors. They mature to about 18-24” tall and about 24-36” wide. It grows best in moist, well drained soil.